Luigi Bosca is changing the face of Argentine Malbec one wine at a time. With a range of high-altitude (this one is over 950m above sea level!) vineyards at their disposal, the winemakers are redefining this classic style, and improving every year. 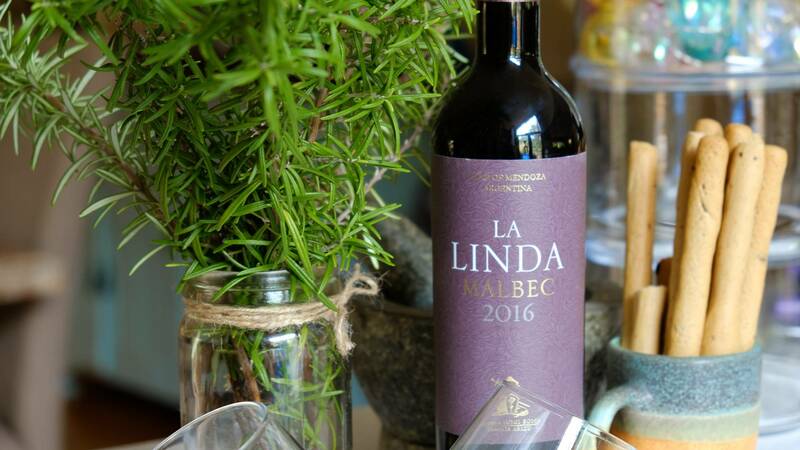 La Linda Malbec is a bright, fresh wine that is still honest to the roots of Malbec. To start there's a load of red fruits - cherries, boysenberries, currants, all layered with layered violet and lavender. On the palate, whilst certainly fruity, there is still that classic Malbec richness of body and silken texture, just with an added edge of freshness. When we think of Argentinian cuisine, we think of big, flavourful cuts of prime beef steak, flame grilled and standing alone as a meal - and there are few wines which stand up to this dish quite as well as a Malbec does. However, you don’t need to start and end with beef, as Malbecs like this stunning example pair really well with cheaper cuts of red meat: lamb, venison, goat all work amazingly well. If you want to move away from the traditional pairings, give this wine a go with a medium hot curry like a rogan josh or balti. 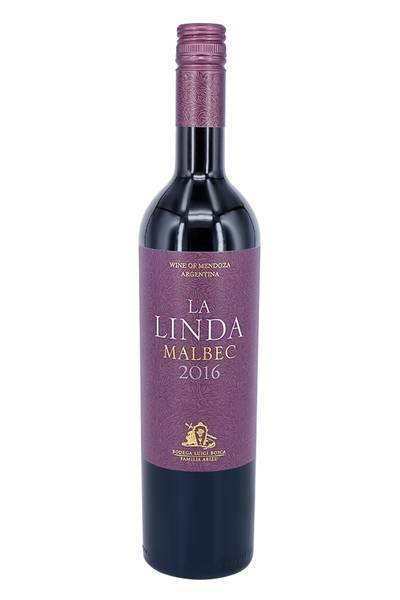 Malbec is also an excellent match for aubergine dishes of almost any description, and also goes very well with tangy cheese, flat mushrooms and even Mexican dishes involving beans and dark chocolate!